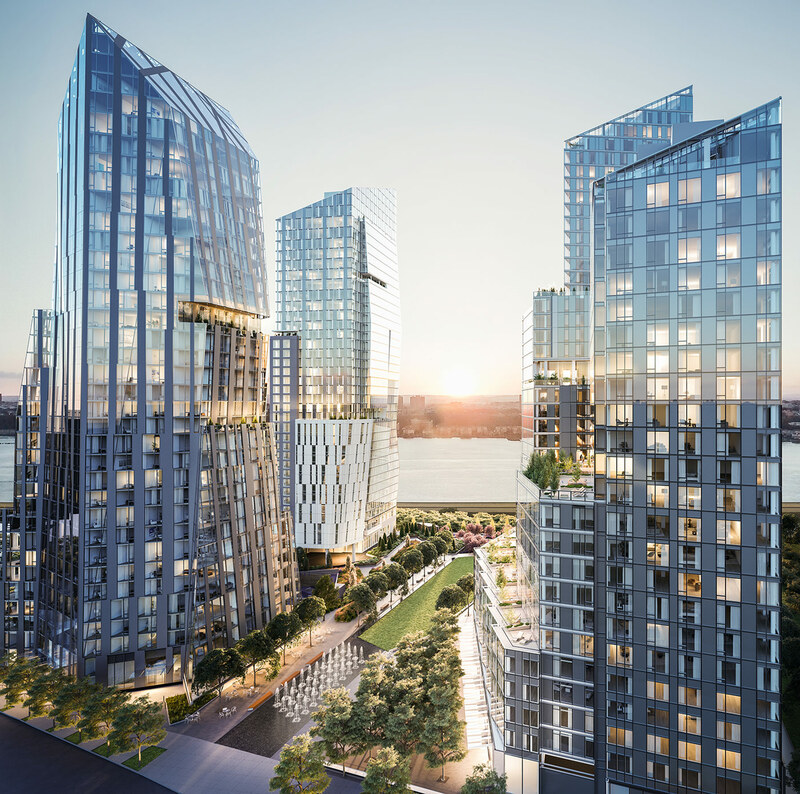 Located between 61st Street and 59th Street, and next to the Henry Hudson Parkway, the newly-announced multi-tower “Waterline Square” development will stand among an interesting set of neighbors. On the other side of 61st Street is One Riverside Park of “poor door” infamy; across 59th street is the IRT Powerhouse, a massive Stanford White-designed steam production facility operated by ConEd (it was originally a subway power station). 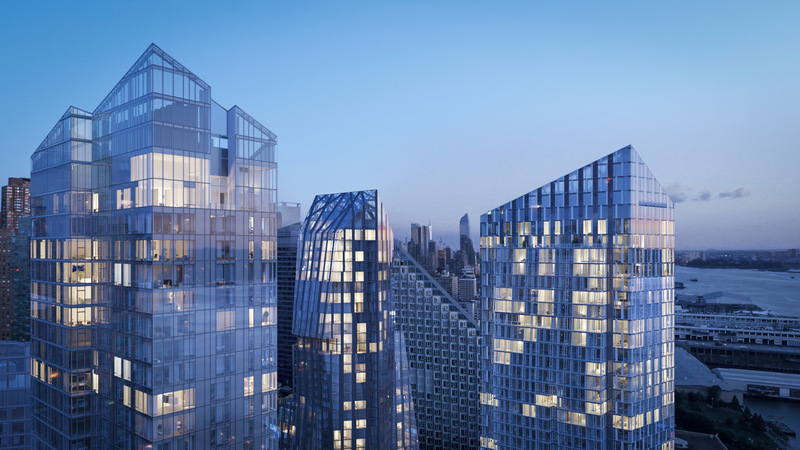 And just south of the IRT building—with its massive 240-foot-tall smokestack, the last of six originals—is Bjarke Ingles Group’s hyperbolic paraboloid Via 57. 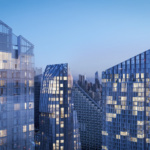 Waterline Square—which is being developed by the Boston-based GID Development Group, owner of two nearby residential developments—will feature three glassy towers: One Waterline Square (Richard Meier and Partners Architects), Two Waterline Square (Kohn Pedersen Fox Associates (KPF)), and Three Waterline Square (Rafael Viñoly Architects). 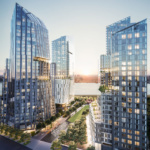 “Together, we are transforming one of the last remaining waterfront development sites on the Upper West Side of Manhattan, into a new, vibrant neighborhood,” said James Linsley, president of GID Development Group, in a press release. Waterline Square will occupy the final large empty lot on Riverside Park South, which stretches from 72nd to 59th Street. 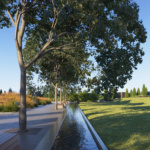 The towers’ luxury condominiums will be accompanied by “100,000 square feet of best-in-class sports, leisure, and lifestyle amenities, as well as a beautifully landscaped park and open spaces spanning nearly 3 acres,” according to the press release. 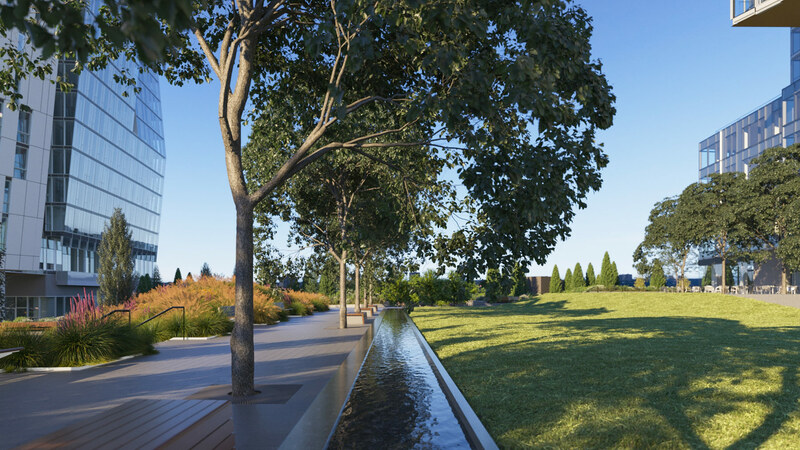 The new park will contain “a playground, fountains, and waterfalls.” Construction actually began on Waterline Square in 2018 but this appears to be the first major release of the project’s details and renderings. For more details, see the development’s website here.